Ian Deason is Vice President, Airports Experience at JetBlue, a NY-based airline, leading a team of 6,000 crewmembers and business partners, with responsibility for all airport-related operations and functions for JetBlue’s network of 95 cities in over 20 countries throughout the Americas. 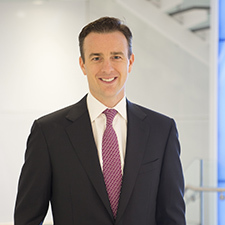 Prior to joining JetBlue, Mr. Deason worked in investment banking for Credit Suisse and private equity for Carnegie, Wylie & Company, an Australian-based firm. He has also served on Capitol Hill as Senior Advisor to the Chairman of the U.S. House of Representatives Committee on Small Business. Mr. Deason received a Bachelor’s degree in economics from Northwestern University and holds an MBA from Harvard Business School.